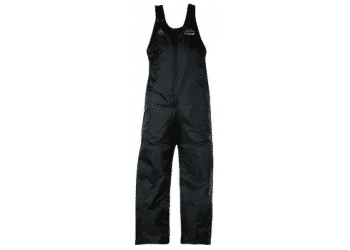 The Ice Rider Flotation Bib Pant is designed to provide warmth, flotation and hypothermia protection. Reinforced seat and knees, two zipper openings, adjustable suspenders and snow cuffs make these pants a great addition to any Ice Rider jacket or coat to provide total body flotation and coverage. Ice Rider™ snowmobile suits are stylish, warm, built for total mobility and designed with rugged and durable materials so your suit will last the most demanding rides. In the event of an ice-break through or cold waterimmersion, they are designed to keep you afloat and reduce the risks of hypothermia. Trust the Triple Layer System in Mustang Survival's Ice Rider™ products to keep you protected throughout your ride.